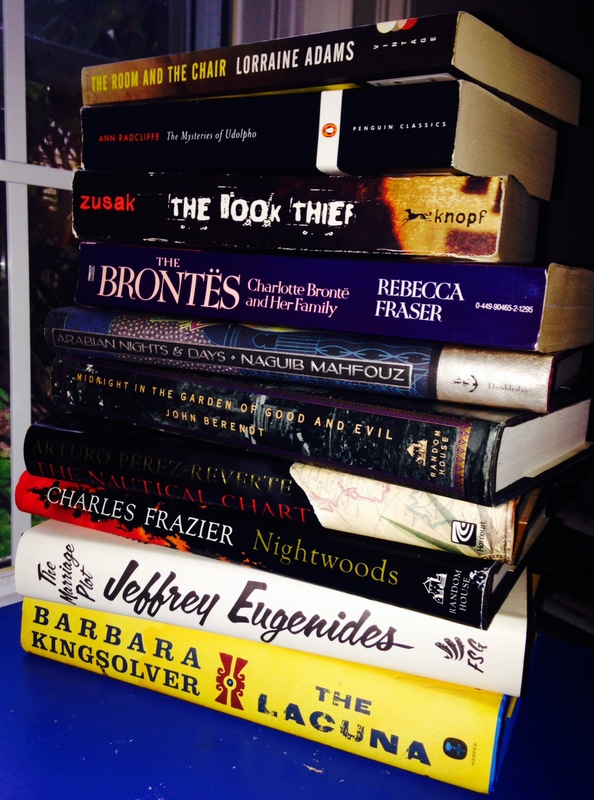 2014 TBR Challenge and Dewey’s #Readathon stack. The Dewey’s Read-a-thon, spring or fall, is always one of my favorite weekends. A whole day dedicated to reading!! Sign up to join us for the read-in this Sat. April 26 at 8:00 am EST. I am hoping to make a dent in my 2014 TBR Challenge Pile, which still seems rather large as I’ve been sidetracked by other books. So, this is a double reading challenge day for me! 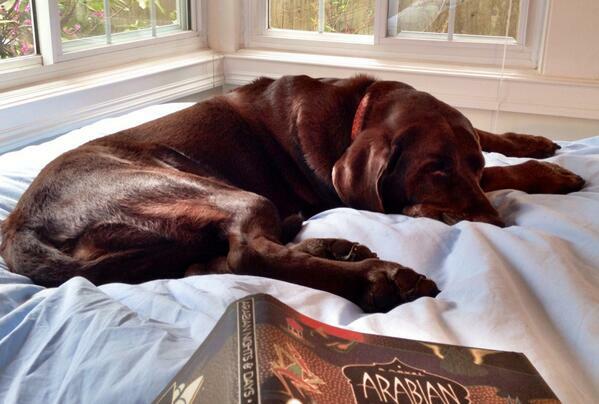 Back to bed with book, coffee, and a very lazy dog! It was a drizzly, rainy morning so instead of our usual am adventure, the doggie was happy to jump back in bed … and stay there! A nice (and luxurious) boost to my Read-a-thon productivity. Indeed it was perfect reading weather. Last April, I was distracted by the fact that is was the first sunny, warmish day in months–so I kept sneaking outside. I also finished The Book Thief by Markus Zusak, another TBR Pile Challenge pick. So two books down and a very relaxing day. I really wanted to savor my reading time and enjoy not being on a schedule. Mission accomplished.